Album Review: The Japanese House's "Good at Falling"
The Japanese House is an indie pop band created by solo artist Amber Bain, 23, from Buckinghamshire, UK. She began releasing music in 2015 with her first EP titled, “Pools to Bathe In.” Followed by three EP’s titled, “Clean,” “Swim Against the Tide,” and “Saw You in a Dream,” all released between 2015-2017 under Dirty Hit. Good at Falling is The Japanese House’ LP debut, released on March 1, 2019. 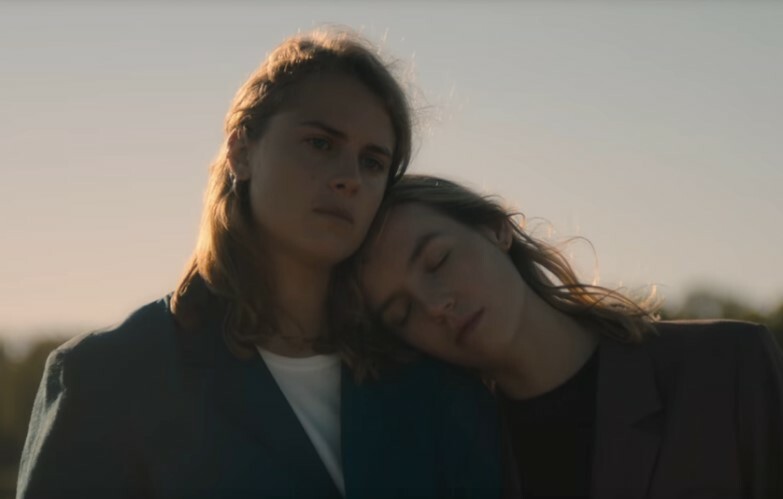 Good at Falling is a deeply emotional, personal, and vulnerable album, chronicling the beginning of Bains relationship with fellow musician, Marika Hackman, and the eventual end of it. In the course of 13 songs, Bain takes us on a journey of love, loss, feeling lost, and finding yourself through it all. The album opens with “went to meet her (intro),” a heavily auto-tuned track that has Bain feeling insecure and uncertain about herself and relationships. While it’s a short track, she is giving us some insight into what is going through her mind at the time. Good at Falling gets straight to the point about Bains former feelings for Hackman with the dreamy-pop sounds of “Maybe You’re the Reason.” She starts off by asking herself what the point to life is, singing, “are we living for the feeling / when we look back / on what we did and reminisce?” Her relationship is over, and she doesn’t recognize the person staring back at her in the mirror. Bain breaks through her sadness and gives us the chorus filled with the love she once had for Hackman, “You’re the only thing I can think about (Maybe you’re the reason).” She wrestles with the thought that loving someone is the reason you live. I fell in love with this album, for the electropop beats, the syntesized sounds, and heartbreakingly beautiful lyrics. Bain describes how in love we all may feel throughout a relationship when it’s good and the feeling that we’ve lost ourselves when it’s over. I applaud Bain for being vulnerable and sharing her thoughts and feelings with the world. I am a sophomore at the University of Utah! I'm majoring in Communications with an emphasis in Journalism! I love movies and music, so I joined Her Campus to combine my love of writing with entertainment!